SS soldiers near the German convoy, which was destroyed by an air raid by allied assault aircraft. The Western Front. 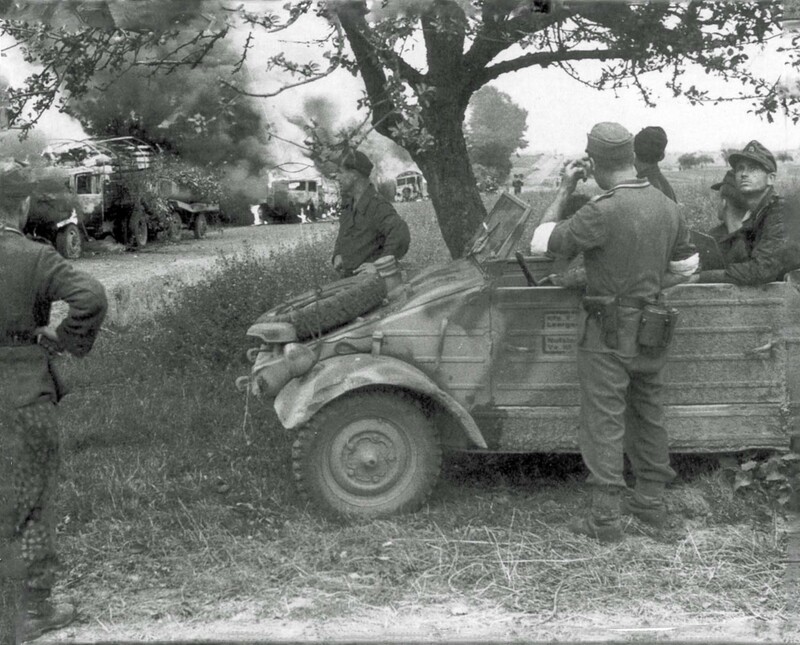 In the foreground Volkswagen KdF-82 “Kübelwagen” (Kubel-PKW).